Sean “Diddy” Combs is facing serious charges for allegedly assaulting his son’s UCLA football coach on Monday. Diddy is being charged with 3 counts of assault with a deadly weapon and one count each of battery and making terrorist threats. He was initially arrested on Monday at UCLA’s campus athletic facility after an alleged altercation with the team’s strength and conditioning coach Sal Alosi. Sources say Diddy—acting in defense of his son Justin Combs, who’s on the team—approached Alosi in the coach’s office to talk and later swung a kettlebell at him. Our Diddy sources tell us...Diddy insists the drama began during a workout session yesterday because strength and conditioning coach Sal Alosi was “riding Justin badly” and told him not to come back until the end of the summer. Diddy went to the campus today to speak with Alosi — believing he has an “issue” with Justin — but things didn’t go well when he arrived to campus. Our Diddy sources say the coach would not see him and staff told him to leave .. but Diddy went to Alosi’s office instead where Alosi told him to get out and threatened to call security if he didn’t leave. 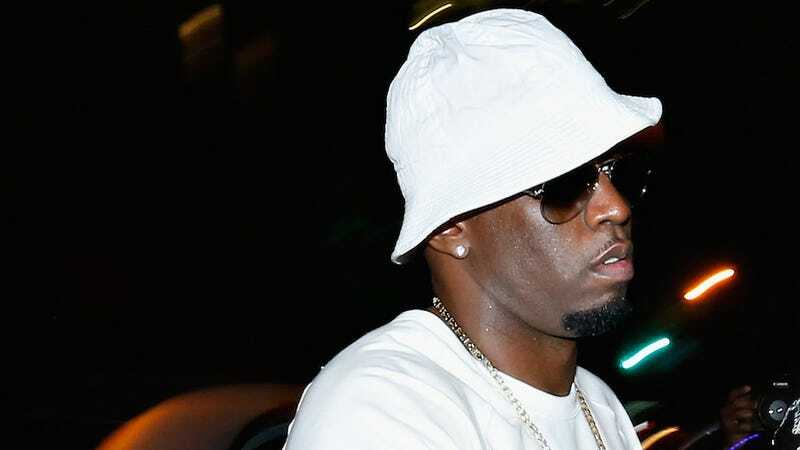 We’re told Diddy said, “Fine, I’ll call police” ... and Alosi snapped — going after Diddy with his hands. Diddy posted a $50K bond and was released.